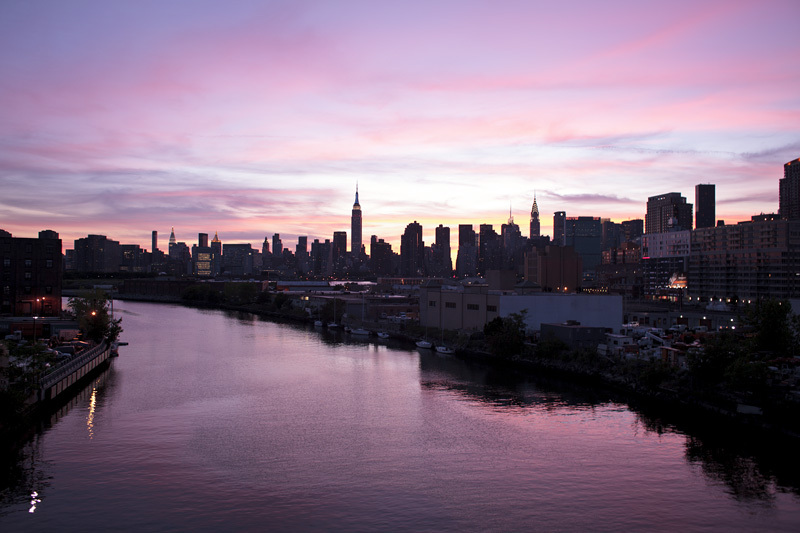 Newtown Creek is a 3.5 mi (6 km) estuary that forms part of the border between the boroughs of Brooklyn and Queens. It derives its name from New Town (Nieuwe Stad), which was the name for the Dutch and British settlement in what is now Elmhurst, Queens. Channelization made it one of the most heavily used bodies of water in the Port of New York and New Jersey and thus one of the most polluted industrial sites in America, containing years of discarded toxins, an estimated 30 million gallons of spilled oil, and raw sewage from New York City’s sewer system.